I was originally planning this post to be done when I bought the rest of the Randomly Generated collection from Shiro Cosmetics as I wanted it all in one place but I realised that it would probably be a huge post and also the cube shaped pots I have are no longer sold so this seemed as good a point as any to split the two halves. I’ve been buying these in twos and threes alongside other orders I’ve done over the past 18 months and have nine of the fifteen in the collection. I will admit that part of the reason for starting the collection for me was the art work on the cube shaped pots as the side art is just amazing, the art itself can be found here and I think I might be a little bit annoyed at myself for not getting the one with all the Jack O’lanterns. 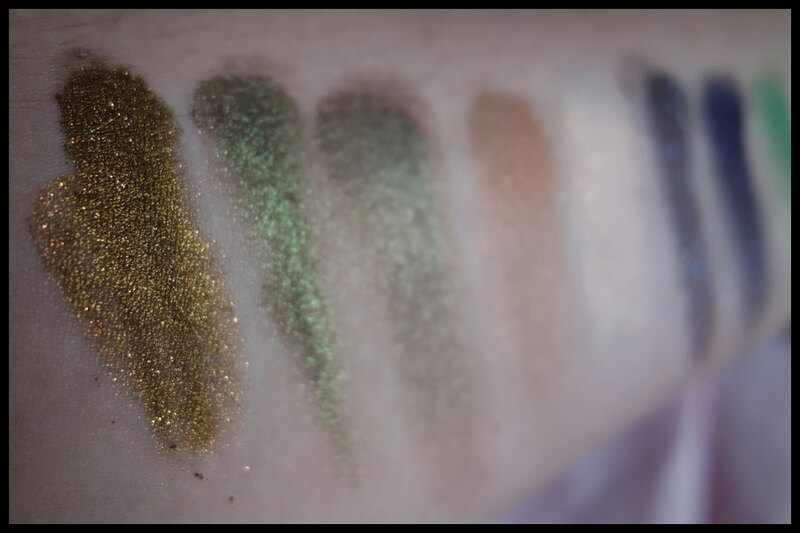 I did a post a while ago about the Avengers inspired Earths Mightiest Heroes collection from Shiro Cosmetics where I said how much I love their products. 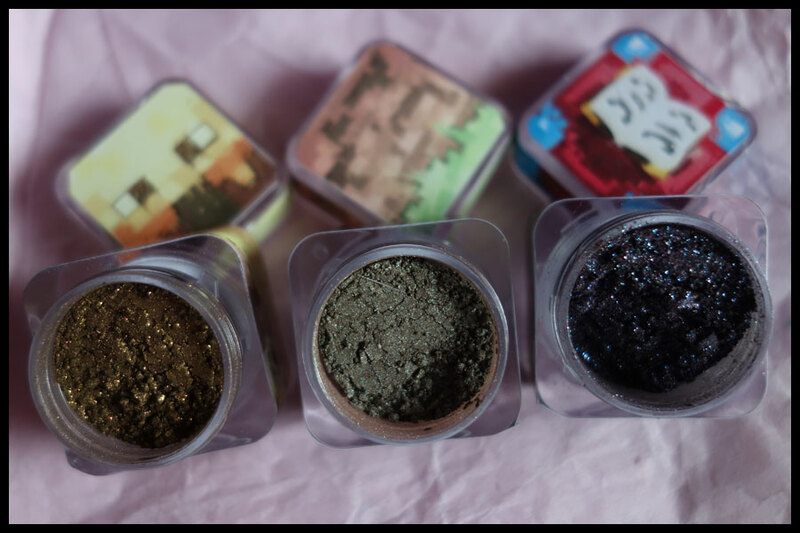 Some of my favourite loose pigments I own are from this collection based on the game Minecraft, all of the names within it are puns and names of things in the Minecraft world or phrases that have come from it such as Diggy Diggy Hole. If you don’t play Minecraft they may seem a little odd but the colours are just as beautiful even if the names don’t make as much sense. The collection can be found here, the full size jars (2g) are $6 each, the mini jars (1g) $3.50 and the sample sizes are $1. It’s also available as a full collection where you get a discount and it costs $13.50, $47.25 or $81. The jars themselves aren’t available any more but I thought I’d do a bit of a review of them so you can see the difference between these and the ones you would get if you bought the collection now. Originally there were three options, the two available now which are the standard sizes, and the larger square shape which goes with the blocky look of Minecraft. I decided to go for these as I’m a sucker for packaging and I like the side art which I don’t think you get on the smaller pots. Alongside the size difference (sorry, I can’t remember how much product these hold in comparison) there is no sifter in the cubes. I also found that the lids are less consistent, I have four which make a loud squeak and are so hard to open and one, Steve, which is so loose I keep it held closed with a thin piece of ribbon tied around it. 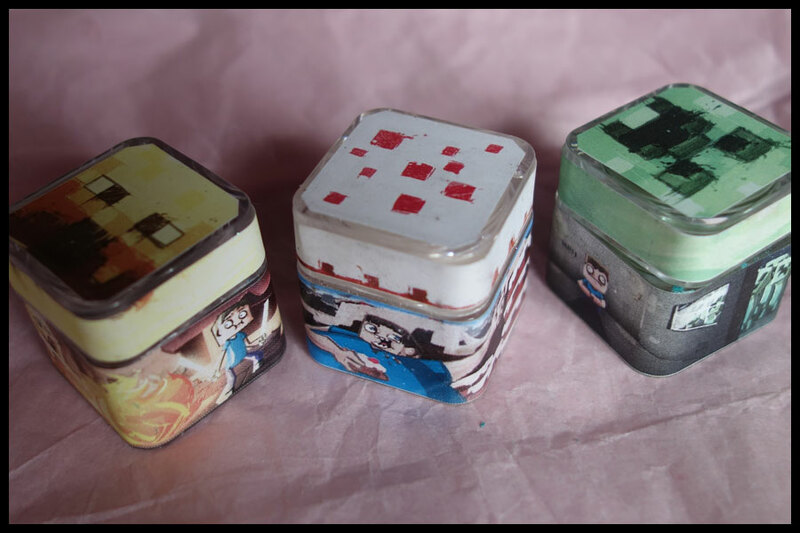 Other than that these are so pretty, I might get the rest of the collection in the round pots as I love the art on the top and how it goes with the different blocks and characters in the game. 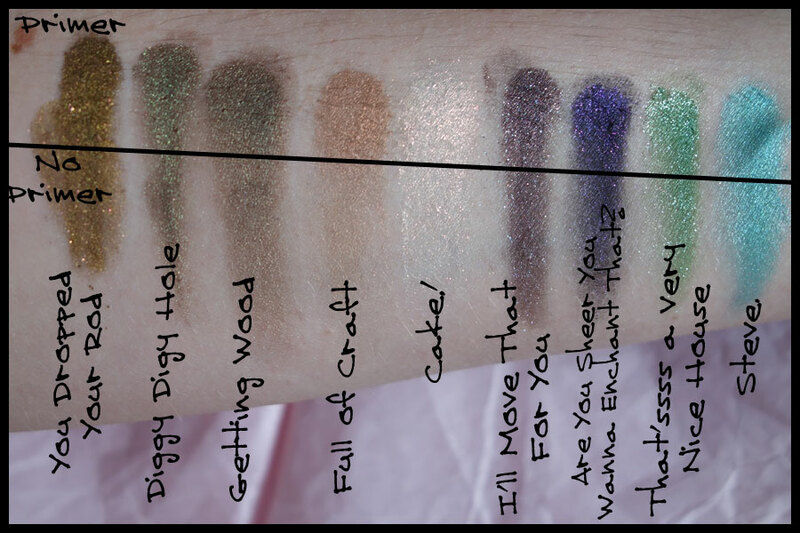 I have no problems with pigmentation on any of these eyeshadows, there is a little fallout on the more glittery ones but they all last well even without a primer. I have done the top half of the swatch with primer and the bottom without but I can’t really tell the difference where the primer stops, maybe on Full of Craft. As well as the colours and names there are small paragraphs of description for each on the website that are to do with the names, I’ll link on each name so you can find it on there and read it, they’re a nice little touch. I’ll Move That for You – Very dark, almost black, base with purple duochrome and purple shimmer. Gorgeous but the one I think that has the most fallout as the shimmer particles are the largest of the ones I have. Very pretty purple, the base colour doesn’t show as much on the skin as in the pot. Easy to apply but harder to blend out, needs another colour to blend with it. Opaque in one layer and very pigmented. 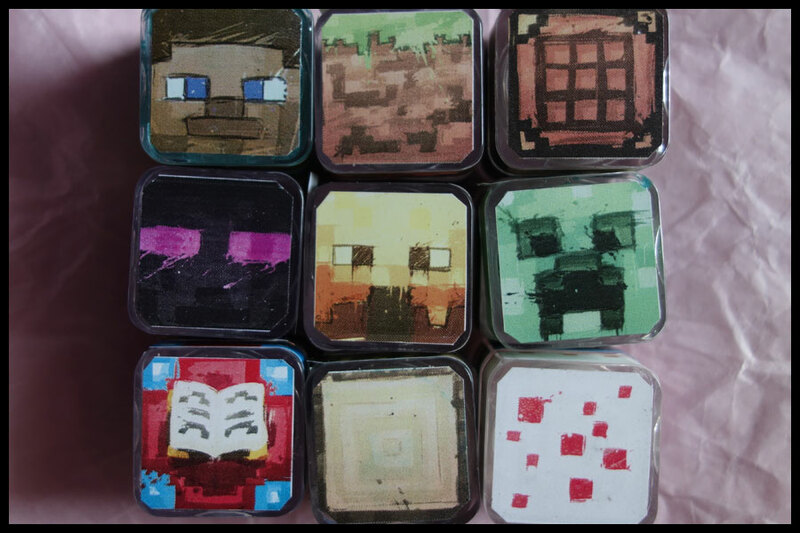 I think this may be my favourite art, I love the enderman and the name suits their annoying habit of stealing blocks. Steve. – Turquoise shimmer. A very bright colour, opaque in one layer and well pigmented. More shimmery on the skin than in the pot and almost creamy to apply which feels weird to say for a loose pigment. Blends well and works well as a liner as well for a bit of colour. The perfect colour for the original default character. That’ssss a Nice House – Mid bright green shimmer. 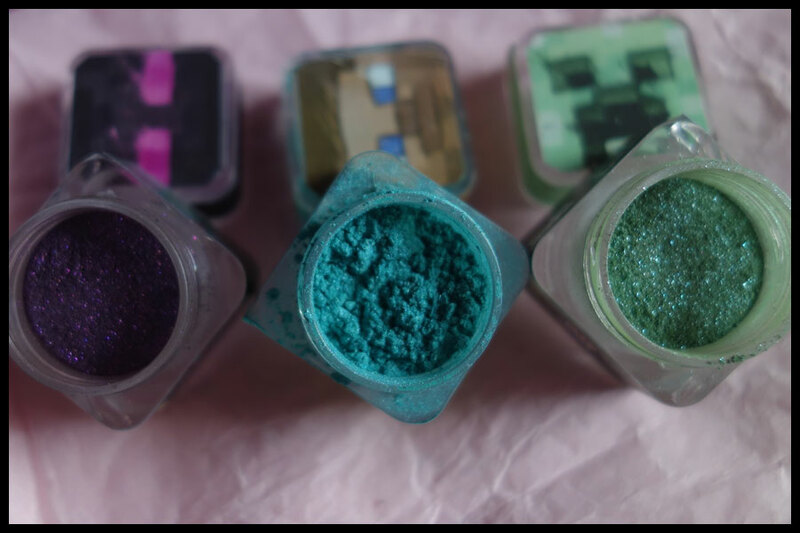 The perfect creeper colour and I love the name. This is another shimmery one with some fallout but the particles are smaller so it’s not as bad. Blends pretty well and definitely well pigmented, one layer is all that’s needed for full coverage. Does benefit from primer. You Dropped Your Rod – Dark brown, maybe black with a gold/yellow duochrome and larger glitter/shimmer particles. One of my go to shadows for a shimmery evening look, blends well though does have quite a bit of fallout when you blend it, one to pack on and not move too much when applied. Opaque and well pigmented in one and I didn’t see much difference with or without primer. Diggy Diggy Hole ­­– Mid greeny brown with a green ducochrome. Perfect colour for a dirt block, the brown is more obvious straight on but the green shows well in the light, especially from the side. Creamy and very pigmented, easy to apply and blend and the shimmery duochrome doesn’t have much fallout. Fairly neutral colour with a twist. Are You Sheer You Wanna Enchant That? – Dark purpley brown with blue and silver shimmer. This is probably the most complicated colour to describe and it doesn’t seem to photograph that well true to colour. I think this is my favourite that I wish I could think of ways to use more. The glitter does fall quite a bit when you do more than just pat it on and it’s very fine so does spread but the shadow itself is very pigmented and opaque in one layer. The colour goes well with the in game block, the dark purple of the obsidian and bluey purple sparkle of an enchanted item. Full of Craft – Mid warm brown with a bit of shimmer. The most neutral of the collection, a go to colour for me on everyday looks. Very pigmented, easy to apply and blends really easily. Does work better with some primer to enhance the pigment but does stick well on my lids without as well. Cake! – Very pale cream or white with shimmer and a pink duochrome. Great highlight colour for the inner corners, very shimmery and fairly pigmented though it’s hard to tell on my skin tone. The pink duochrome is so pretty and shows better than the base colour, also works when a small amount is mixed with other colours before applying. Creamy and easy to apply. Getting Wood – Mid brown with a warm shimmer. 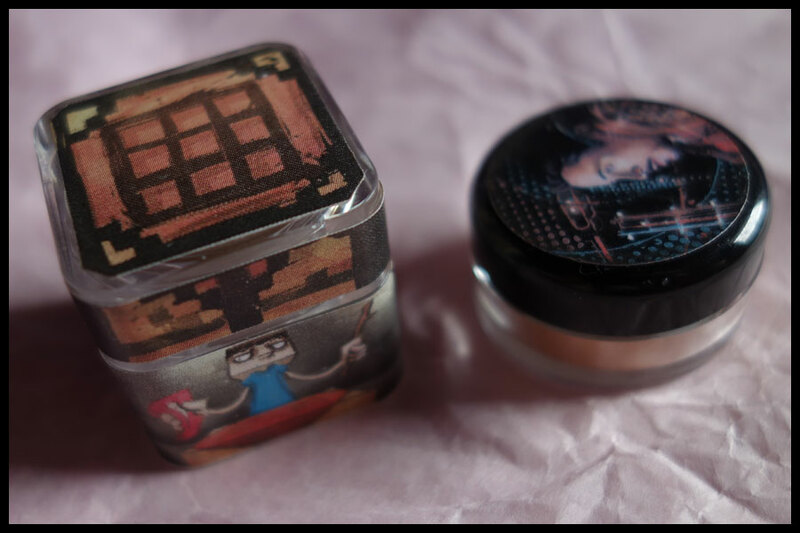 Creamy, well pigmented and blends well. It’s a nice warm neutral with a bit of a twist and works well with Full of Craft. This collection is one of my favourites on the site, not just because of the Minecraft references and packaging, the three more neutral colours are so easy to wear and add a bit of a twist to a more neutral look if you use just one. I have mainly bought the ones that I thought I would wear more, some like the Steve O’Lantern and Punch Punch Pork are very pretty colours but ones I thought I’d get less use out of. 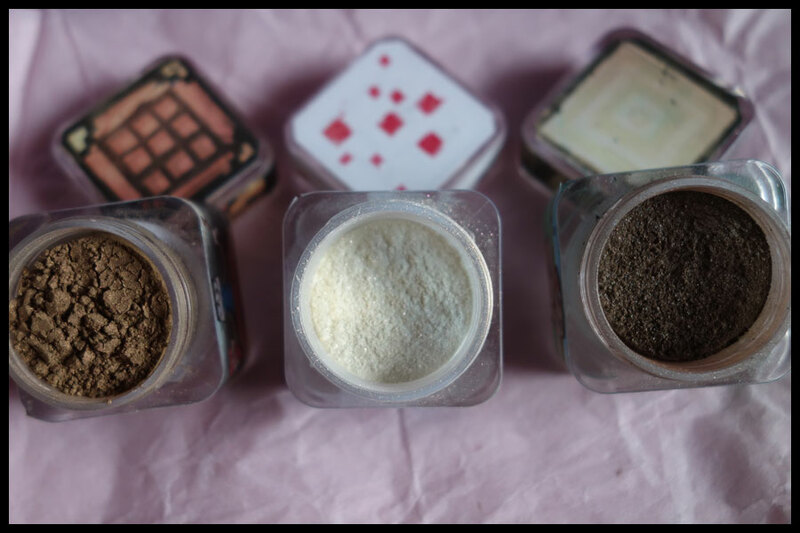 As far as indie brands that do loose pigments go I’d say Shiro are my favourite. I haven’t tried that many, I have an order planned for Brija soon, but once I found these I’ve sort of stuck with them. The quality of the pigmentation, blendability and the unique colours have kept me going back. I do love the ranges and the way they’re inspired by nerdy themes I know and love but that’s not the only reason I have a tin of their loos shadows. If you’re in the market for loos pigments I’d definitely recommend them even if you’re not a fan of the things they’ve based their collections on. So far I haven’t had a duff one and the samples I’ve had with the orders have been good and actually last quite a few uses so you can have a proper play around before deciding if they’re colours you’d want. These are so cool! Definitely gonna have to get my hands on some of the Hobbit themed ones!